Sign-up will close (initially) on Aug. 21, with this thread being placed on the BowlingCommunity.com Calendar to mark the date. Prospective members who wish to learn more about this league can consult our FAQ page. The roster of bowlers who have signed up will be posted as the closing date approaches. 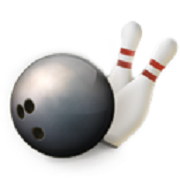 EDIT: Meant to mention that this thread may be "bumped" periodically to keep it in the recent posts list, where it may catch the eye of new bowlers. Such "bumps" will be deleted as needed. This post will be edited as bowlers sign up. If you don't see your forum/Facebook name in this list, please assume that you haven't signed up: Better for me to get a duplicate sign-up if I haven't added you to this roster than to not sign up at all. As always, thanks to the almighty commish. Really appreciate all you do Richie. Cheers. Vic. Richie I am going to pass this time. I know I will miss 4 weeks so I am not going to sign up this time but you can pencil me as a sub when I am bowling. Fair enough, BOSStull. Charlie98 is pretty much in the same boat, too, so that at least gets a sub pool started. Didn't have space to edit the thread subject, but sign-up for this league ends tomorrow, the 21st. Hoping for a few more bowlers. Hey Richie. Was excited for a better week of bowling. Not great, but good... lol. No v-league this week. Do we start tomorrow? Or next week? Thank you! Not starting yet, Vic...sign-up probably closing when I check the email account tomorrow, but I am posting something in the discussion thread following this.